The first book by the author of The Mothman Prophecies. This new edition contains material never before published. Someone, we know not who, once called Jadoo "the greatest book ever written on the black magic of the Orient." But we do know that there will never again be another book like it. Jadoo, a Hindi word meaning "Black Magic," captures a world that is now lost to us—the strange, dark, mysterious world that was once called the "Orient." This story of a real-life Indiana Jones of the 1950s named John Keel contains everything but a trip to Venus in a flying saucer--a subject our newsman/explorer would become famous for a decade later. In Egypt, the fearless Keel was cursed by a mummy and befriended members of a strange snake-charming cult. In Iraq, he played Russian roulette with a notorious desert bandit and lived among the Yezidi devil-worshippers. Later, in India, he was buried alive and discovered the secret of the Indian rope trick, which he then performed for incredulous reporters in New Delhi. And in a riveting finale, he chased the Abominable Snowman through the little known Himalayan kingdom of Sikkim before being unceremoniously booted out of Singapore for being "an undesirable alien." Born on March 25, 1930, in Hornell, New York, John A. Keel was keenly interested in magic and writing from an early age. After serving in the U.S. Army during the Korean War on the staff of the American Forces Network in Frankfurt, Germany, he worked as a foreign radio correspondent in Paris, Berlin, Rome, and Egypt. Then, in 1954, he gave up his day job and set off on a life of travel and adventure, attempting to support himself with his writing. The travels and encounters he relates in this book, which ranged from Egypt to Singapore, cover about one year. Using articles he had written for the men’s magazines, Keel strung together a manuscript, which he originally entitled Pattern for Adventure, while living in Barcelona. 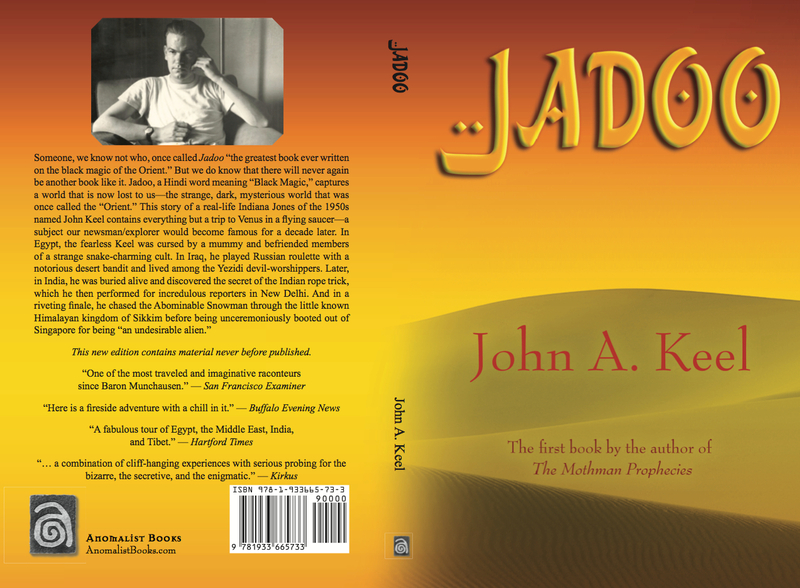 The book appeared as Jadoo from a New York publisher in 1957, and he promoted it by performing a snake-charming act in a pet store window in New York City. Keel kept on writing for newspapers and magazines, as well as radio and television outlets, and ended up publishing a dozen books in his lifetime. He popularized the term “Men In Black” and coined the term “ultraterrestrials” to describe UFO occupants. Keel’s best known work is The Mothman Prophecies, an account of his investigation into sightings in West Virginia of a huge, winged creature called the Mothman that culminates with the collapse of the Silver Bridge across the Ohio River in 1967. The film based on this book and starring Richard Gere was released in 2002. Keel died on July 3, 2009. 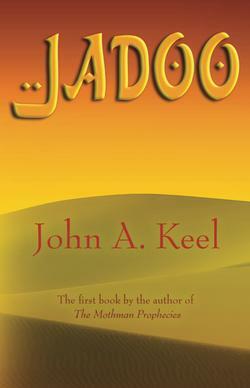 Here is the Jadoo song written to promote the original publication of the book! 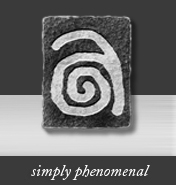 For more news about John Keel and his works, follow JohnKeel.com.